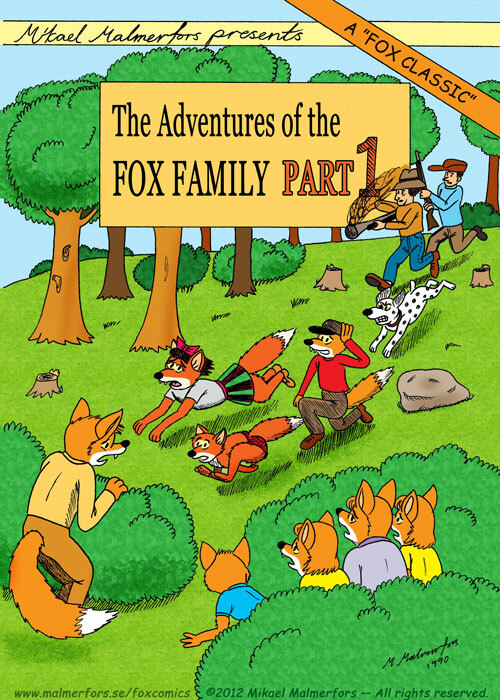 "The Adventures of the Fox family part 1 >cover"
"The Adventures of the Fox family — part 1"
(Die-hard fans only — I wrote most of this chapter when I was 10 years old! I have no shame - I post this just for the sake of posting it!) You will find newer and better drawn adventures in the Archive! Copyright © Mikael Malmerfors 2012. All rights reserved.